Could organizing my day have caused more organizing…? 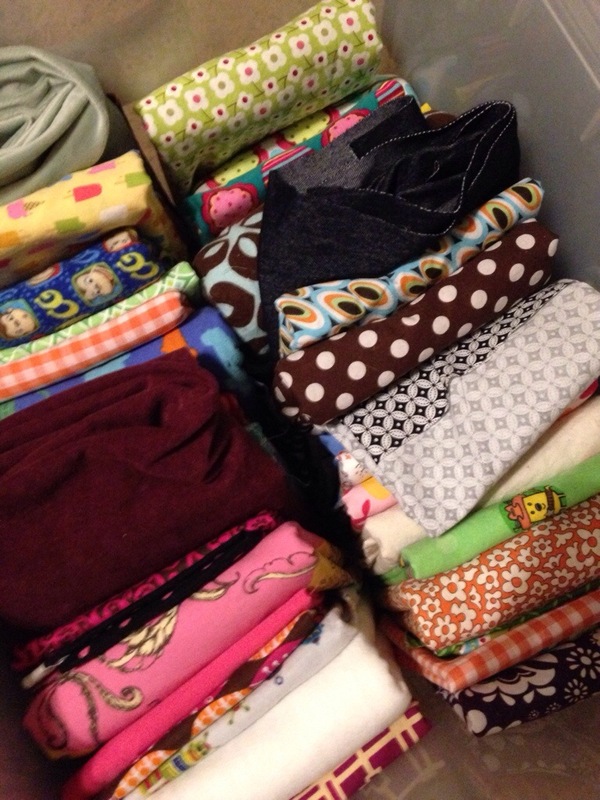 Once again, Pinterest inspired me to tackle my fabric hoard pile. I have uhlot of fabric. I think that if you want to be a crafter of any sort, you have to be a bit of a hoarder. 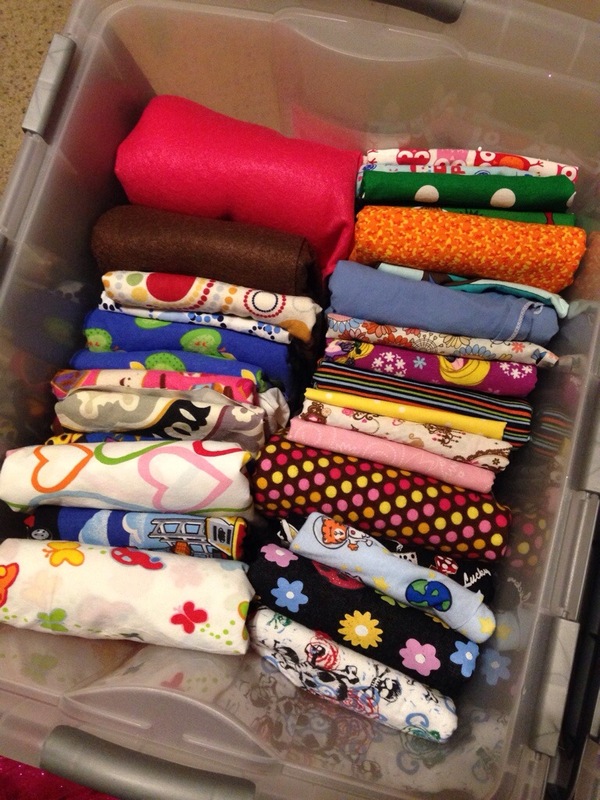 And it comes in handy… My stash is where I found the fabric that I used as the background for my organizer 🙂 It also has tons of memories, scraps from hundreds of prior projects. I will not kill my children, I will not kill my children…. *And* as I came here today, I had to key in my password like 5 times. It’s been so long that I’ve forgotten how to blog! Once again, I have a sinus infection–and this one is taking it’s tole (some are easier to fight than others!). Next week I will go back under the knife to, hopefully, get to a place where I am not having these as often. This will be the second surgery I’ve had on my sinuses, but this time around I am with a new ENT and I am looking forward to better/longer-lasting results. In the meantime, I need to get through this sinus infection and keep my kids and family and life moving in the right direction. One of the reasons I haven’t been blogging much is my new job 🙂 I have a little dude who I babysit three days a week. He is 5 months old and is definitely giving me my baby-fix. He’s also serving as a good reminder of how hard those baby days really were. We just hang out together for the most part. He does really well when we have errands to run, but he’s pretty picky when we’re here–he’d rather be held than play on the floor or sit in his swing. Other than their slightly homicidal mom, our kids are doing well. This is the time of year when we seem to have a birthday every week or so… B is now 6, V is 7, d is 10 and D will be 11 in just a couple more weeks. My big boys are really big now–they can almost look me in the eye! And the little ones aren’t so little anymore… At the doctor the other day I was quite surprised, both of them are over 50 pounds now. I hope that your day has started better than mine! Oh, and don’t fear… the kids are in school now so they’re safe for at least a few hours. Today I pulled out my food processor. I know it was a wedding gift, but I will confess I don’t remember from who. I will also confess it has been since our newly-wed days that I have used it (no shock there, I am not much of a cook). As I was using it I giggled to myself… I am guessing that whomever gave us the food processor would have never fathomed what I was using it for today–heck, if you told me back then what I would be using it for, I wouldn’t have believed you. So, what was I doing?? I made my first batch about a month ago & it was nearly gone, so I whipped up more today. It’s very easy to make, saves us some cash & I think our clothes still look & smell great. With the food processor, I just threw it all in there and pulverized it–took me about 5 minutes total. Next up, I think I will try dishwashing detergent.